Our manicure and gel Polish full day course will teach you the treatments that are one of the most popular treatments requested by clients. The Training course will include nail care of the hands and feet, cuticle work, filling, shaping, hand/foot massage, polish for the nails, contraindications, health & safety, aftercare advice, anatomy & physiology and nail and skin diseases and disorders. 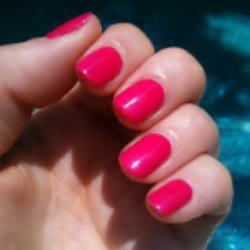 You will also gain the information and knowledge to apply gel polish professionally. Soak off Gel Polish has taking the industry by storm and is an essential treatment to offer your clients. Certificate will be issued on the day if the student successfully passes a practical assessment. You will be issued with a Diploma in Manicure & Gel polish and the course is fully insurable to be able to start off your career in this exciting industry!